I released my first game on the Google Play store! So I released my first game on android today! The long awaited Android version of the infamous “Space :D” as seen on Ouya! 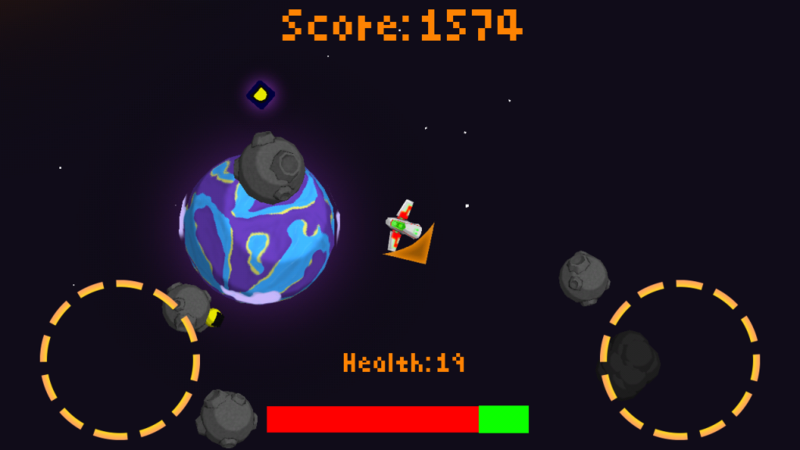 An arcadey twin-stick asteroids shooter game with google play game scoreboard and achievements! Compete with the world to become the #1 asteroids shooter person and fight off dangerous bosses in the process! I’ve put this game out on the Ouya store a few months ago, this project had been an ongoing one since around November/December 2012 and I made it to figure out how to actually make something decent in unity. It’s a really simple game with kinda short gameplay, and a very steep difficulty curve. It features 3D graphics (omg) and has Google Play Game Services integration with achievements and leaderboards, so you can beat your friends if they also have android phones that are semi-capable of rendering 3D things! Yay! This game used to feature my own makeshift-y leaderboard system, which is still in the Ouya version, but I recently came across a cool (and cheap) plugin for Unity to make the whole google play games integration thing easier. Note: This game is pretty hard. You’ve been warned.